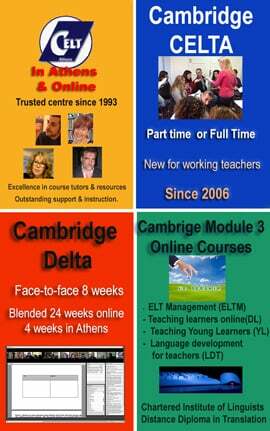 Concerned and worried about the huge drop in registrations in a failing/failed Greek economy, reducing the number of compulsory coursebooks, workbooks and the like, is beginning to be a consideration for some foreign language school owners locally. The parents of younger pupils can no longer afford the high cost of books – many are hard pressed to even pay tuition fees and have stopped sending their children to private language centres, contenting themselves with the lessons provided freely in the Greek state school. In view of unemployment and of many families finding it hard to cover even their basic needs, it seems that some parents have really started to protest very seriously. If you click on that link, you will find out that, unfortunately, it doesn’t involve just one or two … . This is the standard menu – even the internet needs a book! And parents never uttered a single murmur!!!!!! Is it the publishers’ fault? It’s time to stop publishers from indulging the market with an this excessive and unnecessary use of multiple books where one would be more than enough. Most of them are filled with boring mechanistic exercises anyway – to keep the teachers busy (lest they should have a few minutes left over and get lazy…keep ’em busy busy!!!! ), and younger students busy at home with various meaningless exercises, lest they should have some free time for play . One book or none at all! I think it’s time that owners/managers/DOS’es trusted their teachers and believed that they can teach with just one coursebook or, in some cases, with no coursebook at all! I am certain that the quality of teaching will improve hugely, without the anxiety of having to cover all these countless pages and without the pressure of having to ‘to get on with the unit’. In the case of certain franchises, whose name shall not be revealed (unless you twist my arm), all the centres must be moving in total synchronicity and be on page X on the same day!!! Isn’t that absolutely incredible to an educator in their right senses? If school managers don’t trust their teachers to do a good job, it’s their fault for hiring untrained teachers who, after 10 or 15 years of teaching have not developed the skills of pedagogy and design a CELTA graduate can master in only four weeks! This mentality has created a generation of teachers totally dependent on coursebooks and all their paraphernalia, as well as teachers who are indifferent , complacent and who expect everything to be provided by the coursebook either because they do not know how to create their own material/activities or because, even if they do know, they are not allowed! I personally believe it is too late to ask these teachers to be trained now – since the very same managers discouraged them from attending courses or workshops “because none of this stuff actually works in class’, or ‘our students won’t be able to participate”, etc. 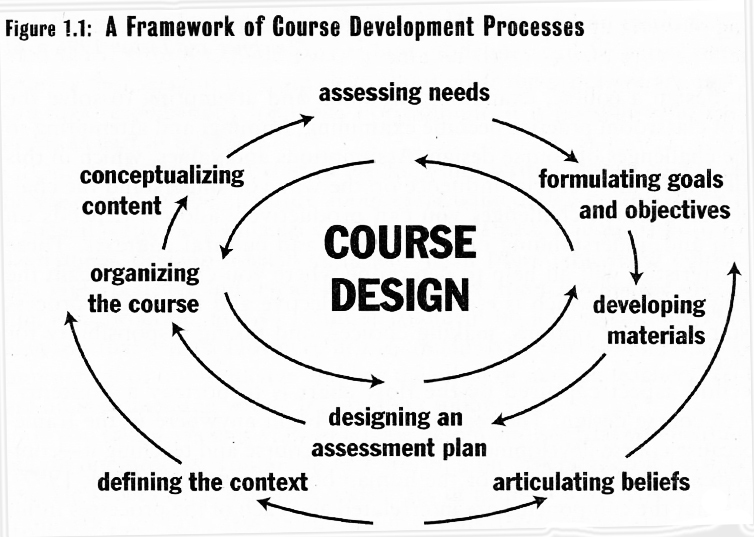 A vicious circle of poor pedagogy which wishes good educators to perform at their worst. I find the reaction of parents great – even if it’s for the wrong reasons. But the decision to reduce the number of coursebooks will not be made for the right reasons by the schools either. Companions: an aid, a crutch or a snag? 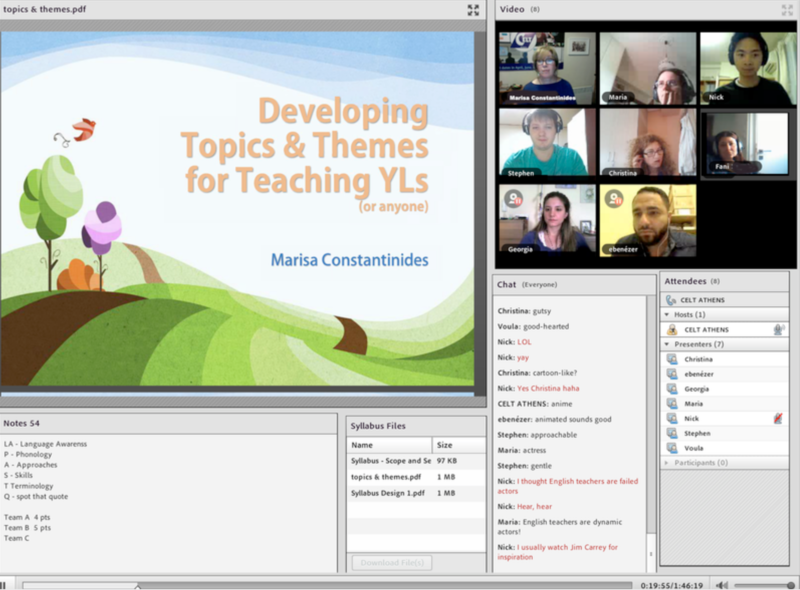 Marisa Constantinides is a teacher, teacher trainer and author; she is the Director of CELT Athens, a Teacher Development Centre offering courses in TEFL. Marisa has worked with teachers in the private and state sector for many years and is an RSA Diploma holder (DTEFLA) herself; she also holds an M.A. in Applied Linguistics from the University of Reading. Find out more about Marisa here. Great blog post! Thanks for sharing! I really like what you said about “Well-trained teachers report being unable to apply what they learn in their training courses…” I teach adults who must buy program texts, as well, and I feel guilty not using them since they had to spend upwards of 50 euro for the set. Instead of teaching the way that I want to, I must change my teaching in such a way as to incorporate the books. However, the thing that bothers me the most about the texts is not their price or their control over my teaching, but the fact that the language they present is so stiff and unnatural that I constantly tell the students that “real people don’t talk like this.” It would be one thing if the texts were representations of authentic language, but since they are not, we are stuck with this impossible dilemma: follow the training and sound methodology and make people upset, or follow the book and compromise your teaching. That’s a great post Marisa but you forgot the writing book, speaking book and… the test book – last year my pre-FCE students had to pay 20 € for the coursebook’s testbook and additionally 15€ for a past papers testbook Not to mention the coursebook, workbook, successful writing, companion. (Funny but sadly true!!) Thank you so much of drawing attention to such an important matter in ELT. It is important that such important people in ELT raise this issue! Thank you Marisa! Yes, I did, didn’t I!!!!! I hope you have read my post on the dreadful ‘companions’ which have made teachers and learners even more list-dependent!!!! Thanks for visiting and adding to my post. I’ve never heard of such a policy as to have more than even two coursebooks for a language learning program. There’s simply no reason for it. Our programs have no assigned texts at all and they never will so long as I’m involved. Teachers and students are the best resources for material. Texts are great for filling in the gaps of these created materials. Of course, I thought everyone already knew that. Read Elija’s comment? Better believe it – school leadership at its direst. Couldn’t have said it better myself! For ages now I’ve been begging to be allowed to do away with books alltogether. My colleagues look at me like an alien and criticising me for wanting to make our job more difficult! But I think I am very close to achieving my goal since some of the times I did work without the coursebook, the feedback we got from students was excellent and to top it all I felt like I had done the most wonderful lesson. I came out of the classroom feeling revived and excited as oposed to when I was forced to just do grammar, grammar and grammar again! If you do not conform, you must necessarily be made to feel like an alien so that they are not made to look what they really are…. Thanks for stopping by.